Over recent weeks, and before the busy party conference season got underway, I’ve been asking questions in parliament about mental health support for young people, raising concerns about the flawed Work Capability Assessments and getting behind some important health campaigns being led by Breast Cancer Now, and Kidney Care UK. I’ve been concerned to hear about the latest figures from the Nuffield Trust about the rise in mental health conditions experienced amongst children and young people – a shocking six-fold increase in the number only a generation ago. As schools returned, I highlighted the issue in Parliament and asked the Education Secretary to match Labour’s commitment on mental health support in secondary schools. The government have been warned that their pledged investment in children and young people’s mental health services is inadequate and will only allow one-third of children in need of support to be seen. Yet our schools are facing their own budget constraints, and have seen a reduction in the pastoral care workers, educational psychologists, and counsellors that are equipped to provide mental health support. I’m calling for a different approach that includes mental health budgets being ringfenced, the proportion of mental health budgets spent on support for children and young people increased, and a school based counselling service for pupils in every secondary school. On World Suicide Prevention Day, Monday September 10, I raised the need for greater collaboration to tackle the great challenge that we face over this issue – one of the major public health challenges facing the world and among the top 20 leading causes of death across the globe. We all have a role to play, not just as individuals but through society and its institutions. Many of the charities and organisations working in the field have done outstanding work, and we can see some signs of progress. Locally, I’m always keen to promote groups that work to provide a forum for people to talk, sometimes people, particularly men, can benefit from a space to talk through anything that is making them feel stressed. I pay tribute to a number of local groups; Denby Dale Men’s Shed – open Wednesdays and Thursdays from 10am to 4pm – is a relaxed space where men can get together and share skills whilst working on ‘garden shed’ projects. I’ve been very impressed by what they’ve achieved at Nortonthorpe Mills. I was also glad recently to meet with the inspirational Luke of Andy’s Man Club – the idea emerged following the death of Luke’s brother in law, Andy, who took his own life. Luke wanted to create a space for men to talk about life’s burdens and to try and help prevent similar losses happening in the future. The group now have 17 settings around the UK, including Dewsbury, and provide a space to talk without fear of judgement. The Women Centre, which also has a base in Dewsbury is another fantastic charity. They provide a range of support and counselling for women struggling with mental health issues as well as victims of domestic abuse. You can find out more information about all of these groups by searching them on Facebook; ‘Women Centre’, ‘Andys Man Club Dewsbury’ or ‘Denby Dale District Men’s Shed’. 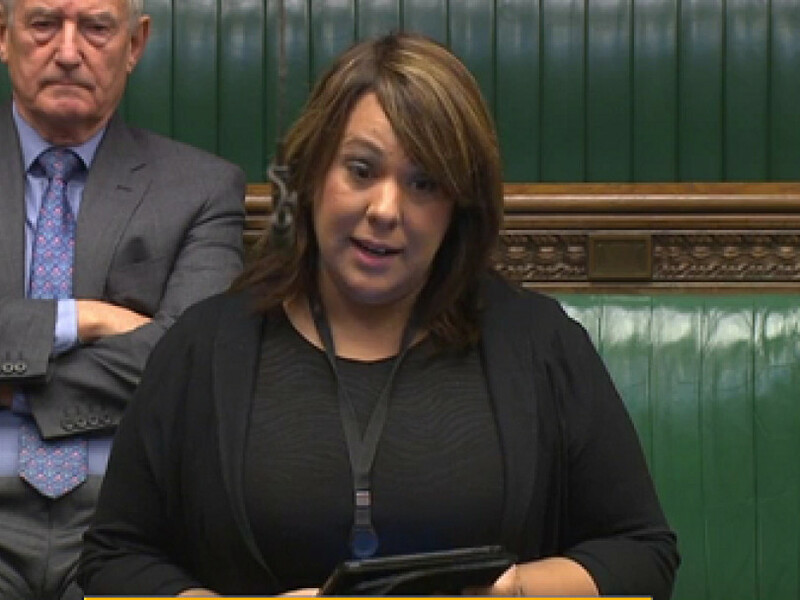 As always, if there’s ever anything that you or your family feel I can help with, please don’t hesitate to get in touch with my constituency office on 01924 565450, email paula@paulasherriff.org.uk or write to Paula Sherriff MP, The Old Dewsbury Reporter Building, 17 Wellington Road, Dewsbury, WF13 1HQ.